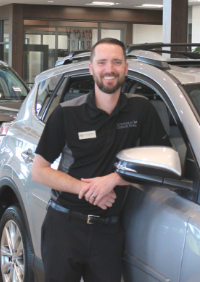 Experience the Difference with your team of dedicated service advisors! 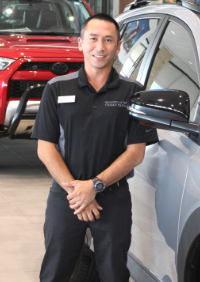 At Toyota of Cedar Park, we are dedicated to bringing you the best possible service department we can. 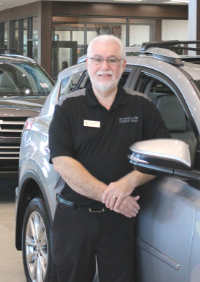 Our team of service advisors is top of the line and we have the state of the art equipment to implement their expertise and provide outstanding results for you! “Joey in the Service Dept. helped me out with a routine oil change and getting new tires. 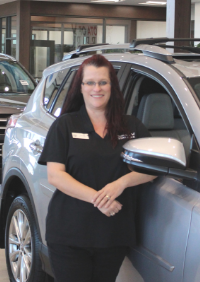 They will text & email you a video of what’s going on under your car, and let me tell you: this is a game-changer!” -Jessica B.
Passionate about: Always finish what you start…integrity is everything! Outside Interests: Camping, riding my Harley, anything involving sports. 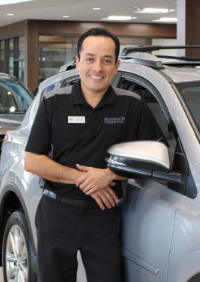 Why Toyota of Cedar Park: Positive and strong leadership. Biggest Adventure: Leaving high school for the military. Plans to make the world a better place? How? : Anything to help others! Outside Interests: Mountain biking, kayaking, surfing, paddle boarding, camping, and water skiing. Outside Interests: Riding my motorcycle, kayaking with my wife! Life Goal: Travel around the U.S., stay healthy and enjoy life! 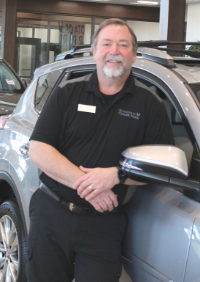 “Wonderful Service! 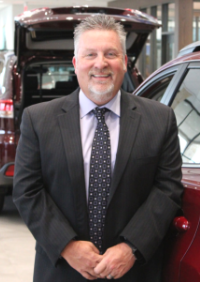 Steve Farber knows how to make sure everything is taken care of and makes all customer feel comfortable. 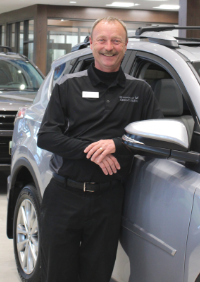 I highly recommend these folks for your vehicle service!” -Sharon C.
“Great service, great amenities, and amazing service team members. 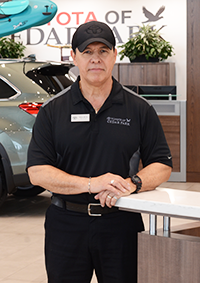 Steve was the service member who helped me, and really took care of me and my vehicle. 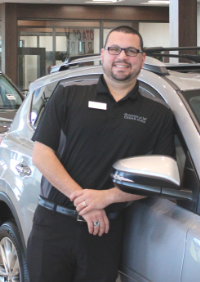 Veteran friendly – highly recommend!” -Marja E.
“From start to finish it was a great experience go see sale person Ricardo and Michael for quick financing.” -Lucy P.
“Then Neal called me with the estimate and time frame it would be done . When it came time to pick up my car my wife was busy and could not drop me off , with zero hesitation they sent a shuttle to pick me up .. 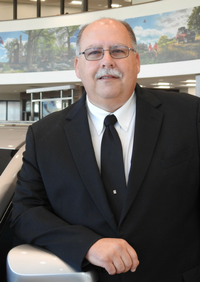 When I arrived at the dealership I met with Neal and he gave me a brief tour and escorted me to my car which had been washed and vacuumed . I must say that Amy , Neal and Josh were all great and helped me when I was in a real bind …Thanks!!! 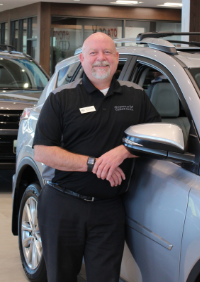 -Brad F.
“My service rep. Neal Schuman and Technician, were awesome, showing me the problem, getting my truck fixed and back on the road, ASAP! My Tacoma runs like new, they will get repeat business from me, for sure!” -Steve F.
Tell Us About Your Family: I come from a family of love! My mom, dad, and two older sisters are always there for me! What Are You Passionate About? 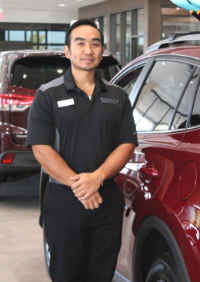 Helping people, family, friends, vehicles, and performing detailed work. What are your outside interests? My cars, my dogs, and my girlfriend! 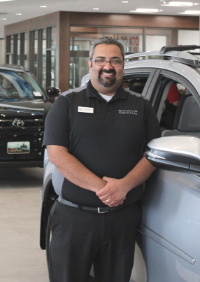 Why Toyota of Cedar Park? I was ready for a fresh start! What has been your biggest adventure? My car industry life! “WOW! 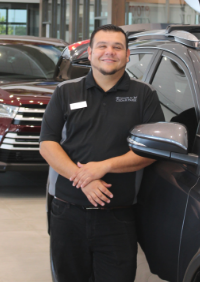 Al took great care of me, and Jason sent me a very informative video on my cars health.” -Amanda W.
“Al Tooker took great care of me and my camry, made my experience worry-free and I even got a video update of my vehicle being service while they were going through a multi-point inspection. I can’t say enough good things about my visit. 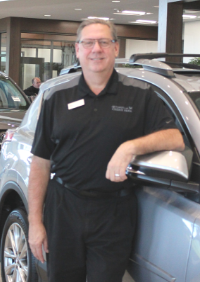 Will for sure be a return customer!” -Vinhcen H.
“Fantastic facility and great customer service by Al Tooker!! I went for my 50k toyota service. Al took care of all the needed stuff. ” -Suraj B. 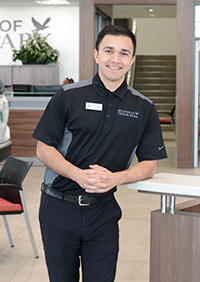 Learn more about our Service Advisors and Team at Toyota of Cedar Park in these videos! Built For Satisfaction, Built For Service, Built For YOU!